The Slonkabot Series came from Mike Slobot’s deep love for all things Willy Wonka and the Chocolate Factory. A Slonkabot 3000 is a newer robot that works in the SLOBOT factory helping to make other SLOBOTS. 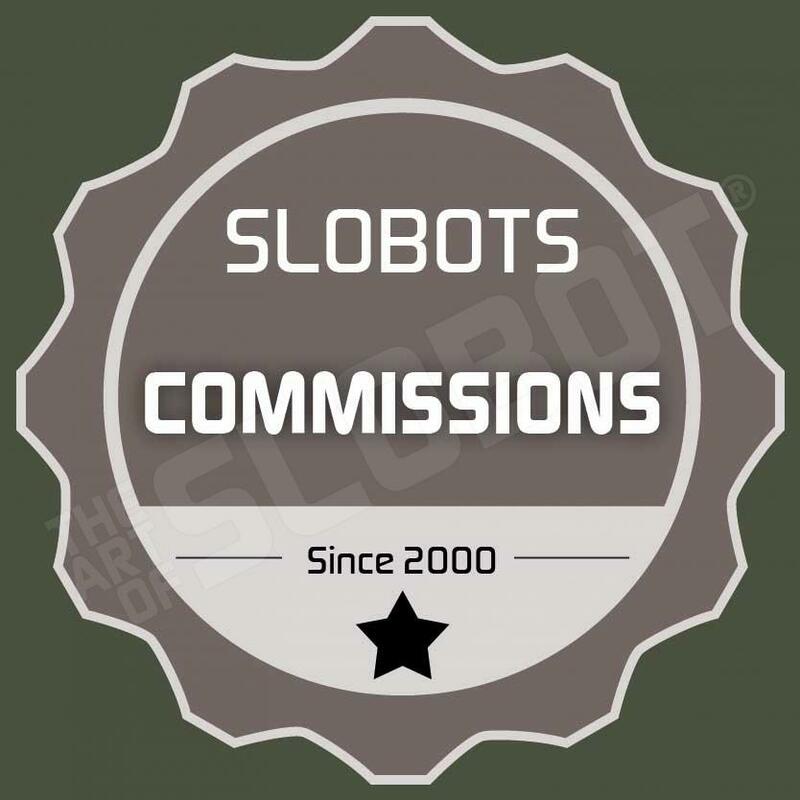 The white Slonkabots are in charge of the website and graphic design. Sometimes they wear white hats. The Slonkabot is an homage to all things Wonka. If you love robots and chocolate, then this bot’s for you. Robot art prints are made to order and are printed on high quality acid free paper with Epson DURABrite® Ultra pigment ink. Available in 2 sizes – 5×7 and 8×10 and are ready to be framed in standard size picture frames. Prints are shipped and sold unframed. Frame in picture is for illustrations purposes. Print will be signed and dated by Mike Slobot on the reverse side.